Coloring large expanses of light, something I like to call acreage, is a challenge that will happen in almost every show. 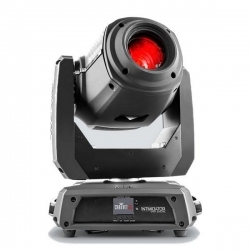 Whether it be lighting a common cyc or back drop to doing foot lights to a classic ballet. 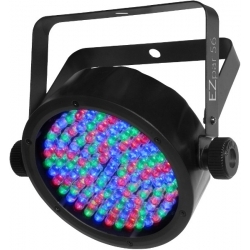 Having a smooth wash of lights that also let you choose some color to it is something that almost every lighting system needs. 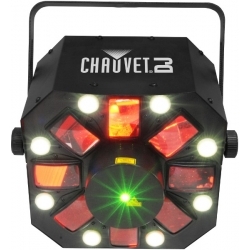 When first setting up a lighting system this is one place where you will invest heavily in the beginning but they will last for years and years. 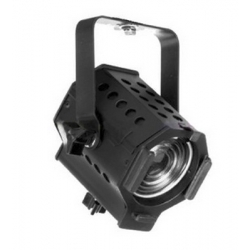 Cycs can both be top lit and lit from below. If from below that is generally called a ground row. One thing that I really like about using ground rows is that while the theory of a perfectly flat field of cyc light sounds nice it is almost never a reality. 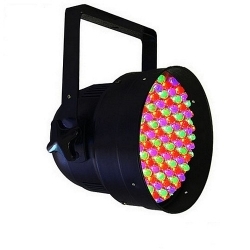 A ground row will put the hot spot near the performers head height which helps the audience look there. 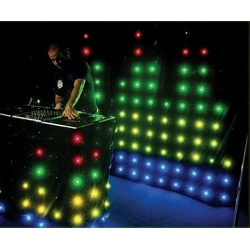 Strip lights are generally a group of lighting cells that are next to each other. The most common are three and four circuits. In a three circuit situation you could have the cells electrically grouped as… Cir 1, Cir 2, Cir 3 then next to that another Cir 1, Cir 2, Cir 3 and then next to that another Cir 1, Cir 2, Cir 3. This goes on for however long your strip light is. You then choose what color to put in the individual circuit numbers as those circuit cells will come up together when given electricity. Strip Lights can sit on the floor using floor trunions or hung off of a pipe using hanging irons. 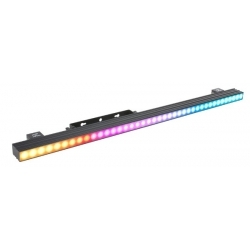 Browse our selection of strip lights. 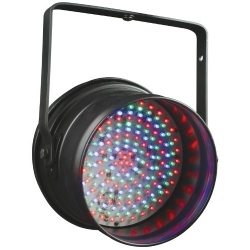 Cyclorama Lights differ from strip lights as they will only have one cell per color. That cell however is usually larger and with more wattage. 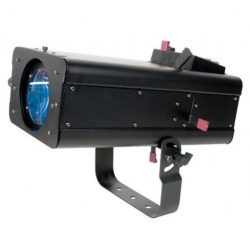 Cyclorama lights in general work better in large theatres then small ones. 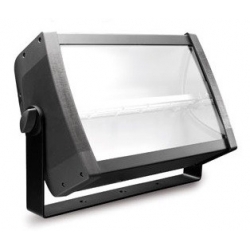 Browse our selection of cyclorama lights. 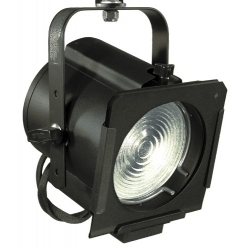 Generally, a Par can is simply a light that holds a par lamp in it. That is not a true statement for all par cans so I will discuss the differences below. In general the can is simply a holder for whatever the lamp is going to produce as far as light output in both shape and intensity. Par cans are most commonly used for color washes whether it be for a back light washes or curtain warmers from the front. They do easily blend together. A par can does not have many accessories. In general they can hold color frames, barndoors, and top hats. 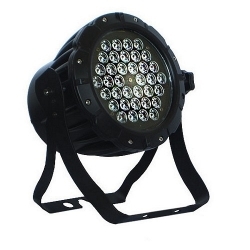 The Micro and Par 38 lamps generally have a circular output while the others have a rectangular output. 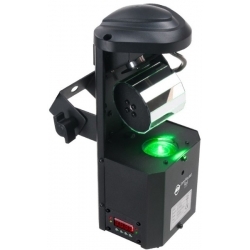 The multi lens par gives you the ability to have multiple lens choices without having to change the lamp. 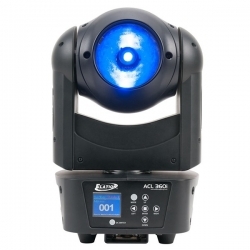 In general they use a HPL lamp which is also what most of the ellipsoidals are using today. This way you only have to stock one lamp. Most multi lens pars come with a wide flood, medium flood, narrow flood and very narrow flood lens. You can also purchase as an add on a very wide lens. The light output of these lenses is generally an oval shape except when you get to the narrow and very narrow lens. There shape is harder to discern. 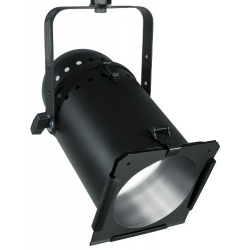 Remember a par can is a flood light and does not give you a hard edge so you will not get a defined oval shape. The lenses are rotatable so you can adjust the direction of the oval. This is incredibly useful in focusing. 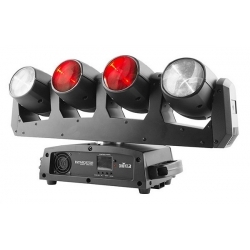 Going upstage / downstage can be very useful for backlight while going stage left to stage right is magnificent for curtain warmers. The units do have the front accessory tabs to hold color frames and barndoors / top hats. Browse our selection of multi-lens PARs. 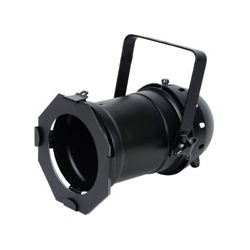 A Par 38 is simply a can that holds a flood light. 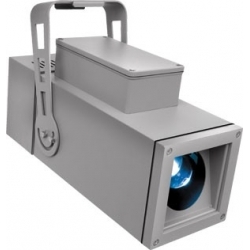 The size of this flood light is much like the flood you would use at your house. They come in a variety of wattages and beam degrees. The beam degrees are generally listed as either wide or spot and produce pretty much what they are called. Over the past years there have been more and more governmental regulations reducing the wattage of these lamps to save energy. So if you find a lamp you love, stock up! 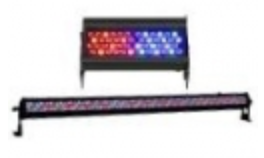 There are now LED options available. Some are dimmable and some are not. Before buying many LED lamps for dimming, buy one first and watch the dimming curve to make sure you are satisfied. Browse our selection of PAR 38s. 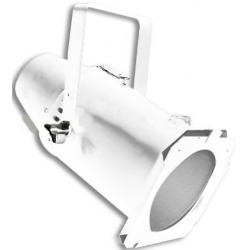 A Par 46 can holds a 200 watt medium or spot flood lamp. 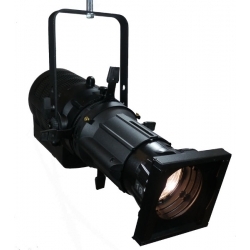 Great for uplight columns. Browse our selection of PAR 46s. 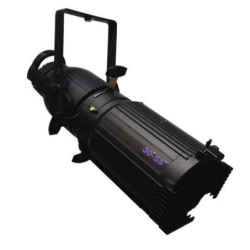 A Par 56 holds either a 300 or 500 watt lamp ranging from wide flood to narrow flood in choices. 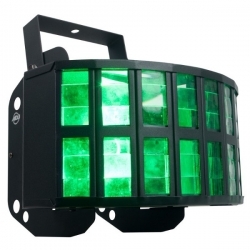 Great for uplighting but also useful for color wash lighting in small rooms. Browse our selection of PAR 56s. 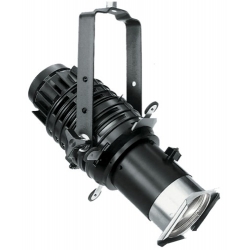 A Par 64 holds either a 500 or 1000 watt lamp ranging from wide flood to very narrow spot. This is a unit that has been used for large color washes for decades. 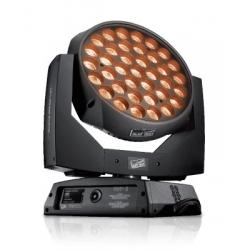 If you go to the 1000 watt lamp make sure that you purchase a unit that is U.L. listed. 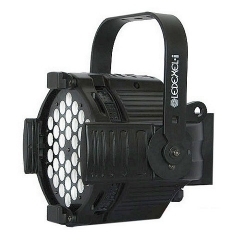 Some of the imported (cheaper) Par 64 units are only capable of the 500 watt lamp. 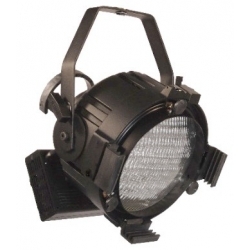 Browse our selection of PAR 64s. 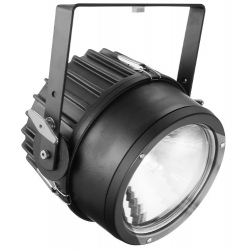 Outdoor Par lamps are just what they say they are! They can handle the elements and if you need to do lighting outside this is where you should be looking. Browse our selection of outdoor PARs. Micro Pars are great for small throw distances where you are looking to highlight some artwork or product. 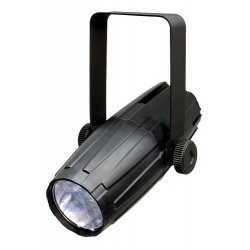 These can generally be powered through a chord or through a track adapter making it ideal for gallery situations. Browse our selection of micro PARs. 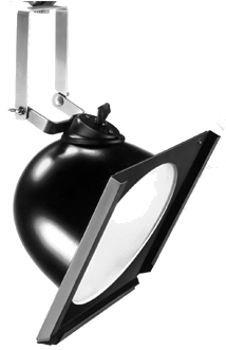 A fresnel provides a soft circle of light that is adjustable from spot to flood, or otherwise known as smaller to bigger. The fresnel lens, which was originally used in lighthouses, has a circular ridge pattern built in. It is this ridge pattern that dictates the smooth, soft edge. You may flood the light out or make it smaller by adjusting the relationship of the lamp to the reflector. The closer the lamp is to the reflector, the tighter the light will be. The further away from the reflector, the wider the lamp will be. Some units use a wing nut on the bottom to loosen the lamp, letting the lamp slide back and forth, and others have a hand crank in the back of the unit to accomplish the same thing. 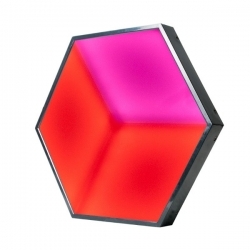 The fresnel blends very nicely with others and is a wonderful way of coloring areas. 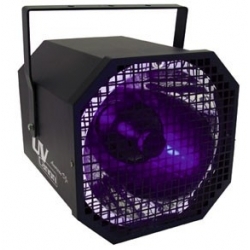 Some typical uses of a fresnel is to put color on the floor or on a curtain. 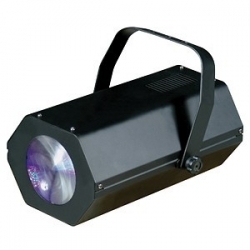 3″ Fresnel – Lamped at 100-250 watts, a 3-inch fresnel is a great short-distance fresnel. 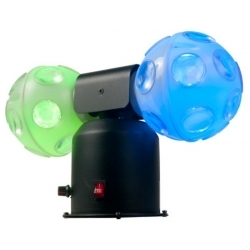 Great in small nightclub and hidden spots on stage. I like to use these in ceilings that are 8 to 12 feet tall. It also makes a great gift for theatrical people for their homes. 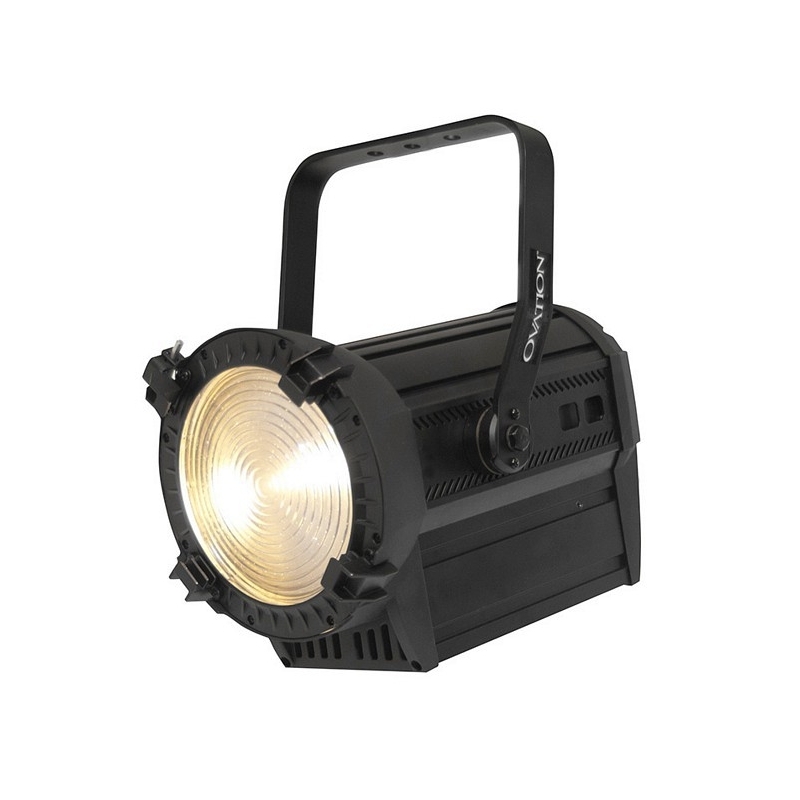 Imagine having that theatrical feel in your home lighting. Browse our selection of 3″ fresnels. 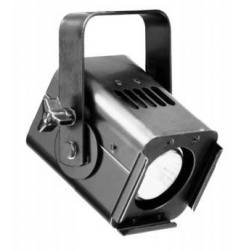 6″ Fresnel – Lamped at 500 or 750 watts, a 6-inch fresnel is great for distances from 8 to 22 feet (all opinion, remember there are no hard and fast rules). Browse our selection of 6″ fresnels. 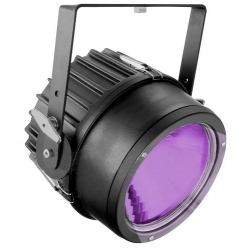 7″ Fresnel – ETC combines the efficiency of the HPL lamp with the singular optical qualities of the fresnel optical system to create the truly advanced ETC Source Four Fresnel. 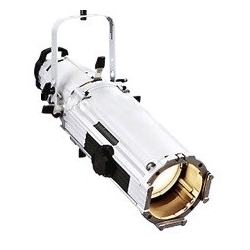 Traditional fresnel optics provide a unique quality of blending wash light and beam shaping via barn doors for well-defined, soft-edged area lighting. 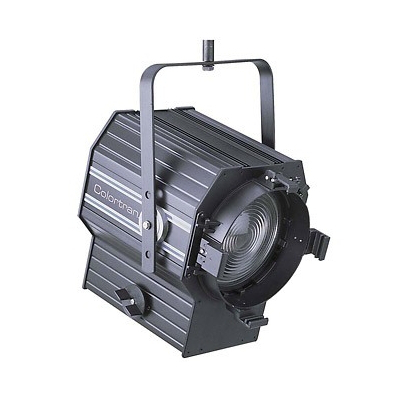 The Source Four Fresnel combines this classic system with a unique reflector design enabling the HPL 750W-equipped Source Four Fresnel to equal the lumen output of other 1000W fresnel fixtures. 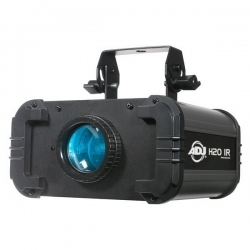 Spot-to-flood focus is accomplished by large, easy-to-use knob for quick adjustments in inconvenient positions. 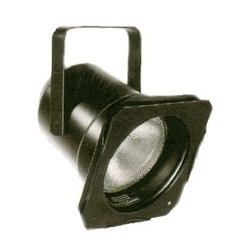 The unique Quick exchange socket design permits re-lamping from underneath the fixture without breaking focus in most situations. Browse our selection of 7″ fresnels. 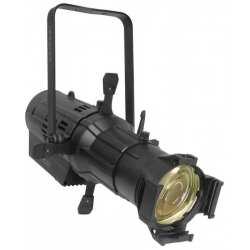 8″ Fresnel – Lamped at 1000 Watts, an 8-inch fresnel is great for long throw needs. Browse our selection of 8″ fresnels.